A tax analyst described as extraordinary the realization of the tax amnesty program with redemption already exceeding 50 percent of the target. “This is a good performance and is unexpected . Until now almost Rp3,000 trillion of taxable assets have been reported. This is very extraordinary,” Executive Director of the Center for Indonesian Taxation Analysis Yustinus Prastowo said here on Thursday. Yustinus said revenue in tax amnesty redemption was only Rp2.8 trillion early September and not it already reached Rp89 trillion more than half of the target of Rp165 trillion set until the deadline on March 31 next year. “It means Rp85 trillion in a month or Rp2.5 trillion per day. This is unexpected,” he repeated saying. He said in the beginning he doubted and many others were also skeptical about the target, adding his estimate put the target only Rp80 trillion-Rp100 trillion. The doubt was strengthened as many said the program was not properly prepared and did look failed in the first days of the launch of the program, he said. Now, however, many of the predictions turned out to be false. The reality even broke the record in tax amnesty revenues ever made by other countries in the world. The largest realization of tax amnesty has been recorded by Italy in 2009 with asset declaration reaching Rp1,179 trillion. Indonesia already reached Rp2,798 trillion that are expected to increase until the deadline on March 31, in 2017. Coordinating Minister for Economy Darmin Nasution said earlier he was optimistic that the program would run more effectively until the end of the program. Among the benefits offered to those taking part in the tax amnesty program include abolition of tax not paid in the past, no tax administrative sanction and criminal sanction and the data would not be used for legal investigation. After the end of the program , failure to pay tax or tax evasion would be legally charged. The government has warned that in 2018, there would be no way for tax payers to hide assets to evade paying taxes as Indonesia would take part in international system of transparency. 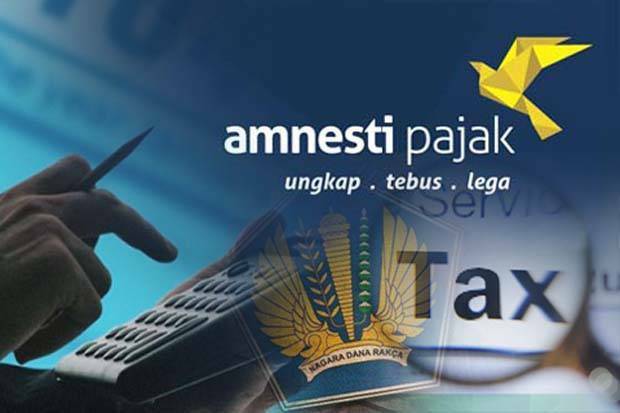 ‹ Pajak Tak Hanya Tax Amnesty, Bagaimana Penerimaan Rutinnya?